DONALDSONVILLE, La. (AP) A company based in Taiwan plans to build a $9.4 billion chemical manufacturing complex on a 2,400-acre site in Louisiana, officials announced April 23. Gov. John Bel Edwards and Formosa Petrochemical Corp. Executive Vice President Keh-Yen Lin announced the plans for the plant in St. James Parish, between Baton Rouge and New Orleans. The project is expected to provide 1,200 permanent jobs with average salaries of $84,500 and up to 8,000 construction jobs, according to a state news release. The plant will be the parish's largest industry, Parish President Timmy Roussel said. It will add about $28 million a year in property taxes once the exemption offered as an industrial incentive expires, Roussel told The Advocate. The parish now gets about $60 million a year in various taxes, he said. Part of Louisiana's standard incentive package is, with local approval, a full property tax exemption for five years, followed by an 80-percent exemption for three years. That alone would add up to about $207 million in tax breaks over eight years. Gary Perilloux, spokesman of Louisiana Economic Development, said he was working to get dollar figures for the exemptions. Construction is expected to take 10 years, possibly beginning as soon as 2019 if all permits are approved. The work would be in two phases, with the first permanent jobs expected to be filled in 2021. That hiring would trigger the first of four $3 million installments of a performance-based grant to offset infrastructure costs, the news release said. The complex downriver from Donaldsonville would take natural gas and make ethylene, propylene, ethylene glycol and associated polymers used in many plastic products. It's the latest big petrochemical expansion in Louisiana motivated by cheap natural gas produced by the American fracking boom. At least one such project, however, has been dropped. South African energy and chemical company Sasol called off plans last year for an $11 billion to $14 billion plant to convert natural gas to liquid fuels. Sasol continued with plans for an $11.1 billion ethane cracking plant in southwest Louisiana. Formosa has 410 employees at three existing Louisiana facilities. Three U.S. subsidiaries agreed to pay $12.8 million in remediation costs and fines in 2009 after a long-running battle over air, water and hazardous waste violations at two petrochemical plants in Texas and Louisiana. The proposed plants would be run by a Louisiana-registered subsidiary of Formosa, called FG LA LLC, with Lin as its CEO. 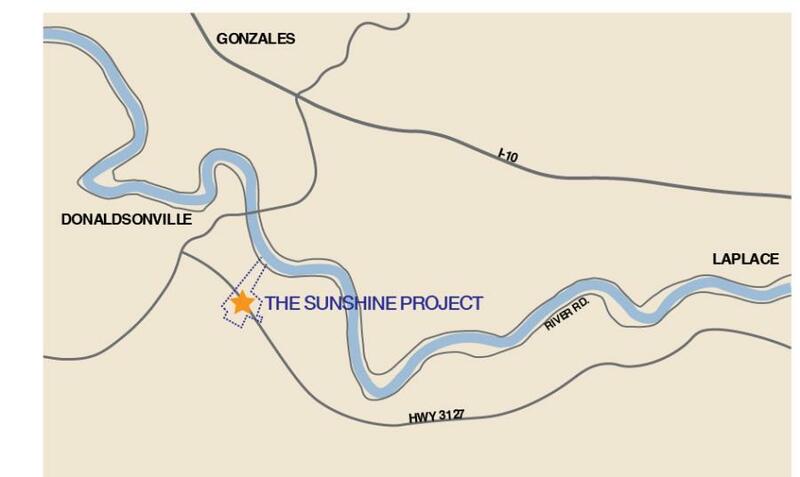 Since the site is just downriver from the Sunshine Bridge, Formosa has dubbed it the Sunshine Project. The bridge — opened in 1964 in what was then a sparsely populated area and described by detractors as a bridge to nowhere — got its nickname from then-Gov. Jimmie Davis' song, “You Are My Sunshine.” These days, it is heavily used.